UCL Press Megajournal – What’s next? The UCL Press announced ambitions for its megajournal project during a town hall event on January 16th 2018 with Dr. Paul Ayris, CEO of UCL Press and Pro-Vice-Provost (Library Services), and Prof. David Price, UCL Vice-Provost (Research), describing the wide-reaching goals and ideals that have moved the university in this undertaking. See the UCL news pages. The town hall began the discussion by inviting Robert Kiley of the Wellcome Trust who gave some insight into their successful Wellcome Open Research megajournal, describing the rationale behind the move and how its researchers have taken to it. UCL Press, having partnered with ScienceOpen to provide a hosting platform for its current eight academic journals, invited Stephanie Dawson, CEO of ScienceOpen, to discuss the further developments and vision toward providing researchers and publishers the infrastructure towards more open and transparent peer review and publication models, with increased search and discoverability. Catriona MacCallum, previously with the Open Access publisher PLoS and consultant on the first megajournal PLoSONE, and now Director of Open Science with Hindawi, then painted a broad picture of the values, tools and advantages of an open science framework from an individual, institutional and societal perspective. Ian Caswell, UCL Press Journals Manager, then outlined the aims and ambition of the UCL Press megajournal project to offer researchers and academics the opportunity to publish cross-disciplinary and inter-disciplinary work, characterized by openness. 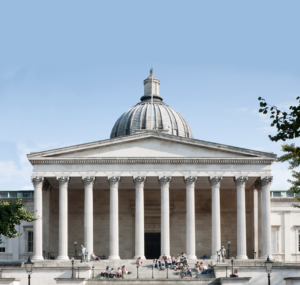 The next step of the UCL Press megajournal is to begin a campus-wide consultation on the needs and expectations of the UCL community in terms of open peer review and versioning, editorial oversight, topical focus, and technicalities. A megajournal is by definition of broad scope so as to encourage inter-/cross-disciplinarity and to provide a publishing outlet for content that is not easily categorized. The UCL Press megajournal will begin with a focus on environmental sciences, including contributions from earth sciences, geography, UCL’s medical school, population sciences and UCL Institute of Education. Ultimately, the goal is to provide a platform for the entire university and beyond. Interested UCL researchers outside of these fields should contact UCL Press Journals Manager Ian Caswell about expanding the scope of the platform. Some topical selection, however, can be very useful for readers in discovering new and related articles in their field. Traditionally, enforcing a narrow definition of scope has been the role of the editor. With this in mind, the ScienceOpen platform opens up the possibility for researchers to create their own topical selection from the whole scholarly corpus. UCL researchers are invited to explore this possibility and create a ScienceOpen “Collection” with the top articles in their fields that can also include articles published in the megajournal or other UCL Press journals. To apply for Collection Editor status contact Stephanie Dawson at ScienceOpen. The aim of the UCL Press megajournal is to publish sound research, rather than hyped-up results. It aims to welcome research of all kinds like negative or inconclusive results, descriptive papers, protocols, methods or data papers, literature reviews. The focus of the platform will not be on “impact factor”, but rather individual article and author metrics which can be tracked on the platform and used in individualized search and sort mechanisms within the ScienceOpen discovery environment. The consultation and development of the UCL Press megajournal is still on-going and further details will be announced as to its exact aims and scope and submission criteria. By utilising open peer review, we can promote accountable, responsible, and high quality assessment and evaluation of publications. However, what is the purpose and character of “open” and “post-publication” peer review in an open access megajournal? One way to think of it is the tradition of publishing “book reviews” in the social sciences and humanities, which could provide a good model. Other platforms such as Copernicus, F1000 Research or newcomer SciPost have functional systems of review that are closer to the journal peer review model. UCL Press will be consulting with researchers on how the platform can provide the best quality feedback from peers in a constructive way within the technical scope of the platform. The ScienceOpen platform infrastructure allows for any registered user with an ORCID and “expert” status (5 published articles) to review any paper. The author or any user can also invite reviewers via the platform. Potential reviewers who do not meet these basic criteria can still review an article if the editor decides to give them reviewer status. Because each review receives a DOI and is deposited with the publishing metadata hubs Crossref and ORCID, it is challenging to include anonymous and unaccountable reviews on the platform. If peer review is conducted transparently and openly, authors must have the possibility of revising their articles and tracking those revisions on the platform. The ScienceOpen platform can provide the infrastructure for this versioning system, however, questions remain on how versioning will inform best publication practice, like should the first submission of an article be regarded as a “preprint” which can be taken down if the community review is very negative or published elsewhere? Alternatively, on the other hand, should it be regarded as a publication from the start with the first version only being retracted in extreme cases? Each policy has its advantages and disadvantages which requires careful discussion towards development into a working model. The level of editorial oversight is another question that all megajournals must decide upon. In the first phase of the megajournal project, it is likely to have a focus to staff and students of UCL, but does not necessarily mean the megajournal will be limited to only UCL authors. As the journal expands its scope and audience to accept articles from beyond the university, it may become necessary to adjust and reassess the review process before publication to prevent poor or fraudulent research from being added to the corpus of published scholarly work. The UCL Press megajournal will publish all articles open access with a Creative Commons CC BY license. The ScienceOpen platform will require ORCID IDs from all authors and Fundref IDs for funding bodies are encouraged. Open references through CrossRef as part of the I4OC initiative and open data summaries in manuscripts to link to or describe how to access the data underlying the publication, will be available for use for the UCL Press megajournal. All of these technicalities are still under consultation at UCL Press and further announcements will be made on the UCL Press website and social media. Launching a megajournal for UCL is a project that requires vision and commitment from the university and the community. Your feedback is greatly appreciated. Let’s change the landscape of scholarly communication together! You will find the slides from the town hall event at DOI: https://doi.org/10.14324/111.1234, made available under a CC BY license. Next: Next post: Open for Business – Welcome Stuart Cooper!